During the course of any week oddsmakers and sports books have to set lines for EVERY game being played. We simply find a few of their mistakes. Our staff spends hours researching the games. We compile enormous amounts of information that includes statistics, trends, injury reports, weather reports, emotional factors, and most importantly - exclusive information. This exclusive information comes from a network of personal contacts, which we have developed and maintained through out the past 42 years. These contacts provide us with information that you wont find anywhere else - information that odds makers, sports books and other sports services simply dont have. This exclusive information by no means guarantees us a win every game, but it does give us and edge over time and has proven to be very reliable and profitable. We measure success in decades. We are very proud to be one of the only sports services that have stood that test of time. 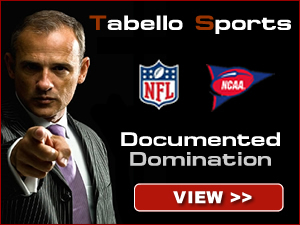 As a customer of Docs you will receive the best sports handicapping advice available. Our courteous staff is easy to work with and you can be assured that there will be no high-pressure sales. Your personal information is held with strict confidence - we NEVER sell, trade or give your name, address or e-mail to anyone else. For those of you who have dealt with us in the past you know that developing a relationship based on integrity, honesty and hard work is never a problem at Docs Sports Service. For those of you who havent used our service, what are you waiting for? Check out our current packages below. 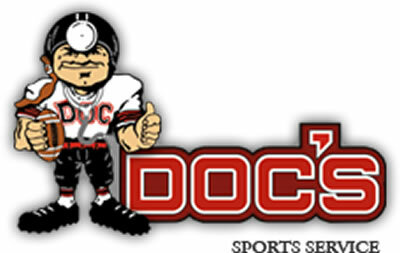 You will find Docs Sports to be the finest service with fair prices and most important - the ability to make you money.